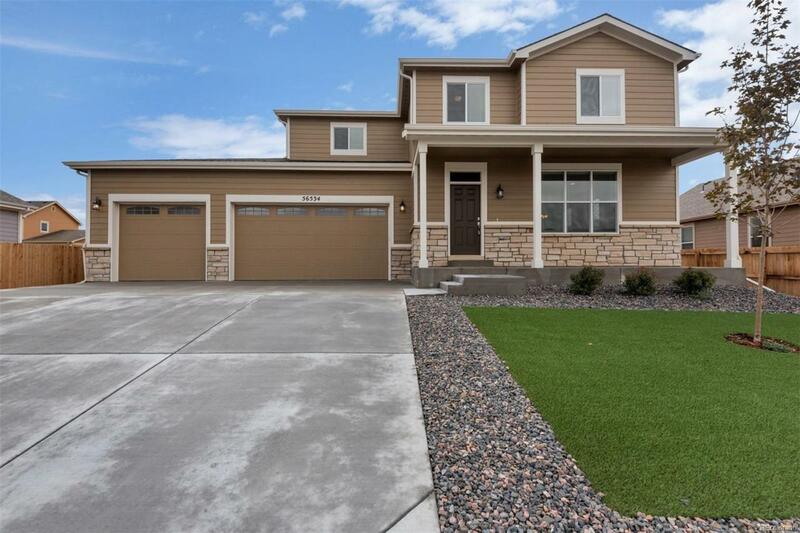 Brand New "Move In Ready" Home in Blackstone Ranch subdivision in The "Village" of Strasburg. This Violet 2 story floor plan features 4 bedrooms that includes the stunning master suite & kitchen with ample cabinet space, over $7500 in design center upgrades and an oversized 1062 Sq.Ft. 3 car garage that could fit 6 compact cars in this perfect garage with room to spare. Standard features include: Slab granite counters in kitchen & bathrooms, 42' upper cabinetry with crown moulding in kitchen, master suite with 5 piece master bath & large walk in closet, full tile surround in bath tub & shower, carpet & tile flooring, Whirlpool 5 burner range, microwave and dishwasher, central air conditioning, 92% efficient furnace, 8 foot overhead garage doors with openers, landscaped front & back yards, 6 foot cedar privacy fencing in back yard, full basements with 9 foot ceilings, elegant lighting package, 4" baseboards, brushed nickel door & bath hardware, deadbolts on all exterior doors and more.